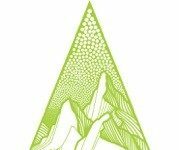 LynQ, which provides a smart compass that locates users without the need for phones, networks or infrastructure of any kind, announced its LynQ Rental Partnership Program, providing equipment rental companies, tour operators, resorts, ski schools, hotels and any company that serves the outdoor enthusiasts the ability to generate revenue while offering its life-saving device on a rental basis. LynQ locates people or assets for miles, all without the need for phones, networks or any infrastructure. Its compass-like display allows people to see their relative distance and direction from each other in real-time, keeping people together when other technology fails, said the company. Private and secure, LynQ works with groups of up to 12, whose members can then stay connected with each other at a range of up to three miles. A simple click allows users to move between their group members, displaying a user’s name, direction arrow and the number of feet/miles to their location. With over $1.6 million raised in consumer presale and following numerous inquiries from resorts and independent retailers, alike, LynQ developed its Rental Partnership Program as a way to bring its solution to the casual outdoor user, while providing retailers with revenue streams without the need for upfront investments. 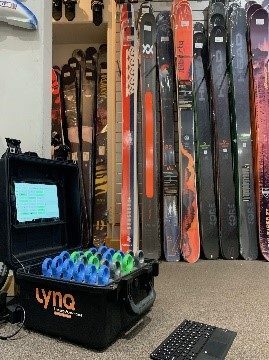 “From outdoor and sports rental equipment stores, to resorts and hotels, the LynQ Rental Partnership Program offers a year-round revenue opportunity to companies by offering a smart product that is complementary to their core offering and adds real value to their customers’ experience,” said Dave Shor, CEO of LynQ. As a LynQ Rental Partner, participants receive 24 LynQ devices, personal delivery staff training, technical support and a specially created LynQ Commercial Hub. Design to support the new channel, the LynQ Commercial Hub is a dedicated way to display, manage, charge and maintain up to 24 LynQ devices. In addition, it provides a simple way to quickly sync, pair and name multiple devices using a tablet rather than individual device interface. The LynQ Rental Partnership Program operates on a revenue sharing basis and those interested may sign up at sales@lynqme.com. For further information please visit lynqme.com.